Manchester United star Henrikh Mkhitaryan has equalled a 23-year-old Premier League assist record, after setting up Marcus Rashford’s opener against Leicester City on Saturday. The Armenian joined the Red Devils from Borussia Dortmund last summer, but things did not go too well for him in his first season. 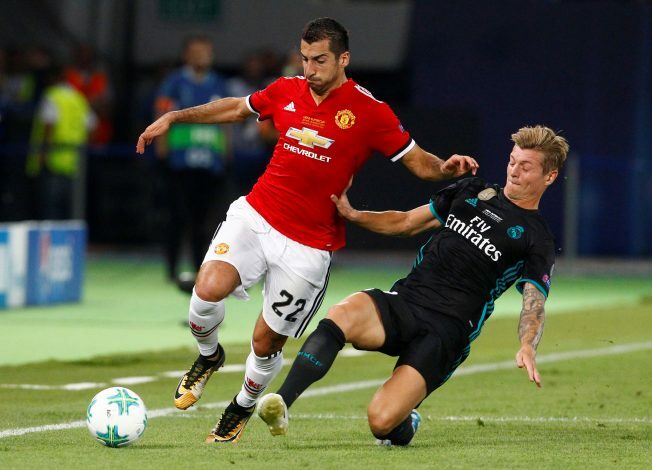 Mkhitaryan was outcasted by Jose Mourinho in the first part of the 2015-16 season, but the talented midfielder got to grips and played some key role in the latter part of the campaign. When the new season started, there was no doubt that every Manchester United fans’ sights were on new signings Romelu Lukaku and Nemanja Matic, but Mkhitaryan has been the best performer for the Premier League giants so far, assisting five times in just three matches. Owing to his master class performances, the Armenian international has been dominating the headlines recently, and now, the playmaker has equalled the Premier League record for the highest number of assists in the first three games of the season. The 28-year-old registered his fifth assist of the season by setting up Marcus Rashford’s goal against Leicester City on Saturday. And with that, Mkhitaryan has drawn level with Ruel Fox of Newcastle, who also created five goals in the first three matches of the 1994-95 campaign. Mkhitaryan could easily lead the assist charts for the 2017-18 season, as he is in incredible form, coupled with the fact that Romelu Lukaku, Anthony Martial, and Marcus Rashford are in great-goal scoring forms, and they will finish off the chances he creates in the rest of the matches.